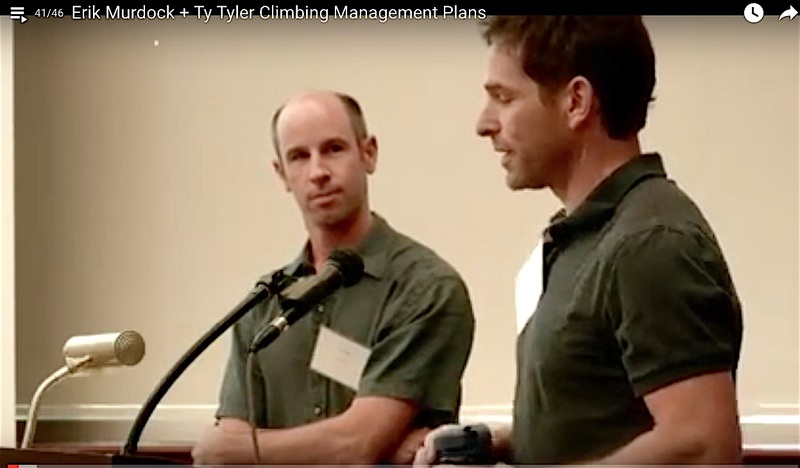 Climbing Management Plans: Concepts and Case Studies. The exponential growth of climbing in the United States has, in part, resulted in increased consideration of climbing management plans (CMPs) for both state and federally owned public lands that contain climbing resources. The increase in climbers has focused many land managers on mitigating environmental impacts associated with climbing, but a comprehensive climbing management plan (CMP) can also address liability, fixed anchors, wildlife, cultural resources, trails, water resources, wilderness, and social issues. A holistic evaluation of the climbing system—parking, approach, bivouac, climb, descent, etc.—is just the beginning of developing an effective CMP. An honest assessment of the land manager’s, climbing community’s, and climbing resource’s current and future needs should direct the CMP contents. Less can be more. In addition, a successful CMP is based on what works given the often site-specific perceptions and behavior patterns of climbers in particular environments. This presentation outlined the issues that need to be considered during the development of a CMP, and also provided illustrative examples of implementation directed at better climbing resource stewardship. Erik Murdock is the Policy Director at the Access Fund. An avid climber for over two decades, Erik has an MS in Geology and a PhD in Natural Resource Studies with a minor in Environmental Psychology. He has worked for the University of Arizona, the Bureau of Land Management, the National Oceanic and Atmospheric Administration, the USDA Forest Service, and the National Park Service on issues related to the human dimension of recreation and resource management. He has especially focused on wilderness management and policy, as well as visitor flow modeling using Geographic Information Systems. Ty Tyler is the Stewardship Director at the Access Fund. A passionate climber and outdoorsman for more than 15 years, Ty has a Bachelor of Science in Forestry and Natural Resource management with an emphasis on environmental tourism. He has worked for the Wintergreen Nature Foundation, West Virginia University, and the Mountains to Sound Greenway Trust in Seattle on projects that involve collaborative stewardship initiatives, recreational infrastructure management, design and construction, and resource management. He is particularly interested in collaborative, long term visioning for sustainable recreational access and management implementation.